Here’s a new Switch game that came out of the blue. Kitten Squad, a title from PETA, is out now on the eShop for free. In the past, PETA has used web browser games to spread the word about anti-animal cruelty. Kitten Squad is the company’s first title for consoles. Sadistic robots have enslaved orcas at SeaLand Marine Park. The evil Sheep Puncher robot has kidnapped sheep for the twisted wool industry. Only the Kitten Squad is up to the task of saving these gentle animals. 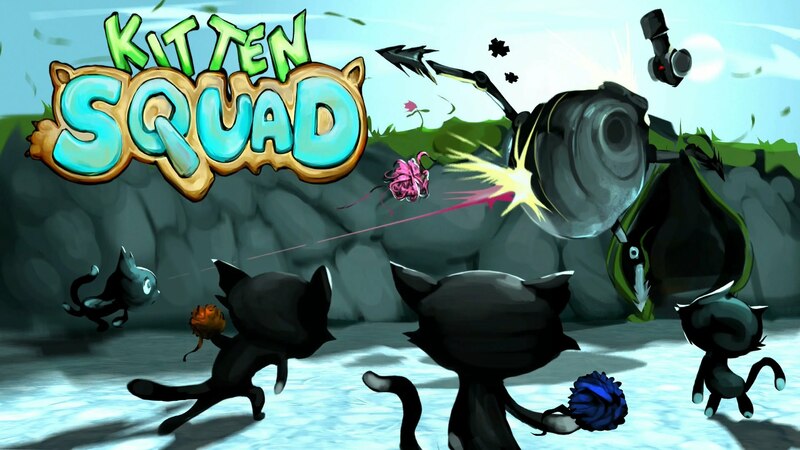 Players must guide the Kitten Squad, armed with weaponry ranging from carrot rocket launchers to yarn ball guns, on missions to defeat the evil robots and free the animals in this action game brought to you by PETA. PETA has sometimes clashed with Nintendo in the past, so it’s interesting that Kitten Squad has appeared on Switch (and with no prior notice). If you’re curious, you can download it for free now.